Guys can never have too many headphones -- especially good ones. GHP-400A is the latest compact headphone system from Genius that is super lightweight. 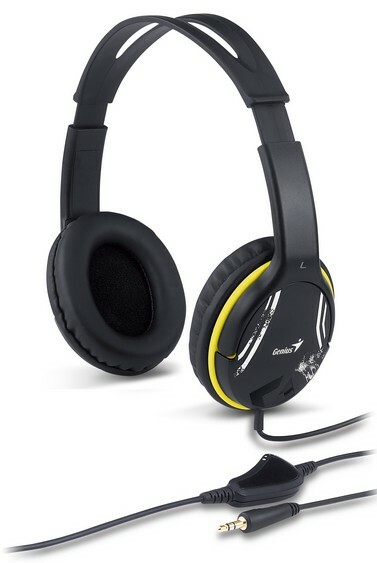 The headphones come with 40mm driver units providing deep bass and good sound quality and has midsized ear cups covering the whole ear to reduce ambient noise. Also, the lightweight and deluxe soft ear cushions enable you to wear your headphones for as long as you like in comfort. It comes in two trendy colors in blue and yellow on each side of the ear cups to give it a street style design that appeals to the young generation. So how much does it cost? It retails for only Php 525.00, which is not bad, I think. Genius is exclusively distributed in the Philippines by MSI-ECS. For more product information and other inquiries, email marketing[at]msi-ecs.com.ph, visit msi-ecs.com.ph, or call 688-3180 to 83.